Manchester United legend Rio Ferdinand has questioned Jorginho’s credentials after another below par performance against Arsenal. The Blues signed the Italian midfielder for a reported £57 million from Napoli last summer following the arrival of Maurizio Sarri on managerial basis. The Italian midfielder was a key part of Sarri side during his managerial time Napoli, forming a fulcrum on which the Naples built their football pattern on. Sarri has used Jorginho in a holding midfield role following his big-money arrival at Stamford Bridge and has started N’Golo Kante in a more advanced position in the Chelsea FC team in the current campaign. While Jorginho impressed for Chelsea in most games, his shambolic display against Tottenham at Wembley is still a reference point for the media. The midfielder was humiliated once more at the Emirates last weekend as Arsenal outplayed Chelsea in the encounter to win 2-0. 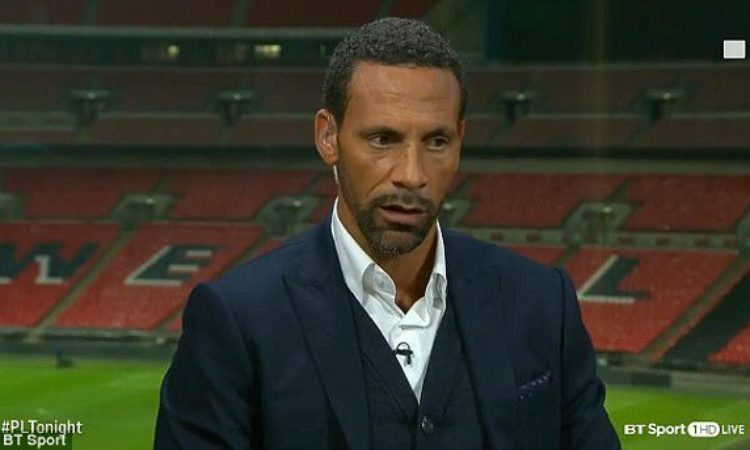 Rio Ferdinand is yet to understanding the role of the midfielder and what he brings to the Chelsea team. “Jorginho’s someone who sets the tempo of a game,” Ferdinand told The Sun. “You get the ball into him through the middle third of the pitch, he’s very good. “[But] how many assists has he got this season? Around 2,000 passes, no assists. “He’s not a great defender. Once a game gets like this against the big teams, he gets overrun in midfield. The Blues slumped to their fourth defeat of the Premier League season to allow Arsenal and Manchester United to close the gap on the west London side.